View from the bridge. 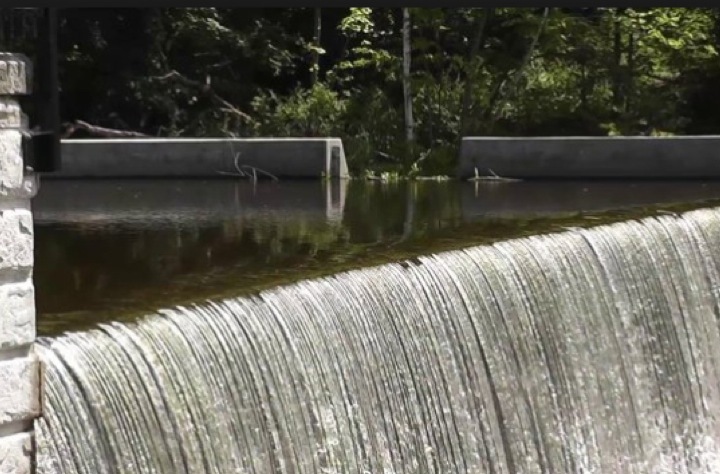 The Blackberry River powered the water wheel, which was later replaces by a turbine. They served to drive the blast. This is a still from our welcome video. Be sure to watch the entire video! 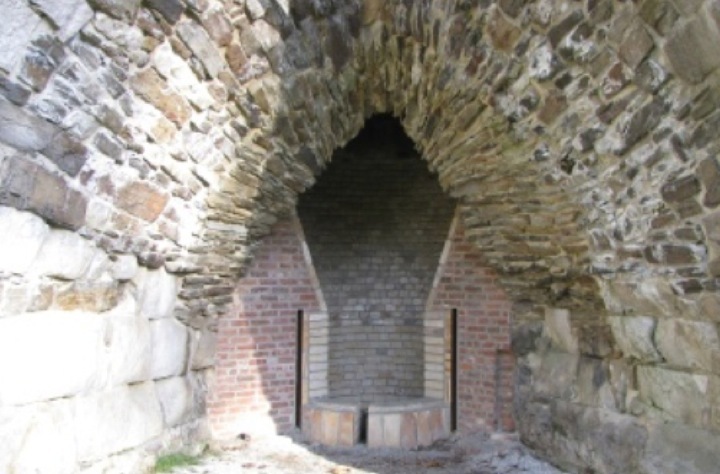 The casting arch is one of the four arches at the furnace, the one that you see from the parking area. Salamander is what's left after the furnace has been shut off. Imagine carrying that! People visit our historic blast furnace for many reasons. 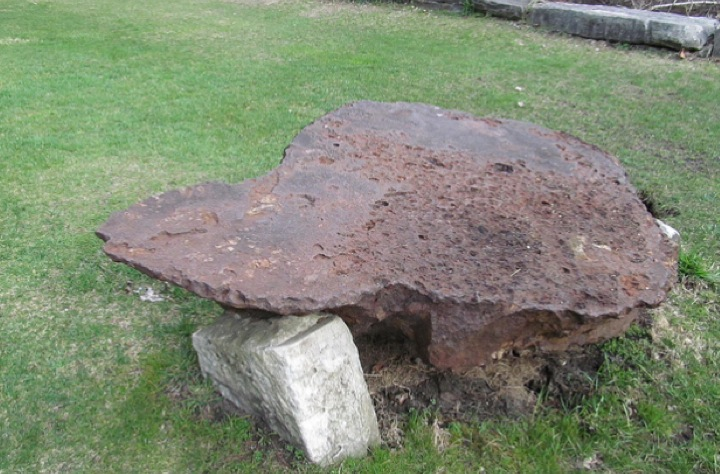 Some come for education: to learn more about the historic iron industry of the Upper Housatonic Valley. Some come to just to enjoy the setting. Some come out of curiosity: “What IS that thing?” is usually the first thing they ask. 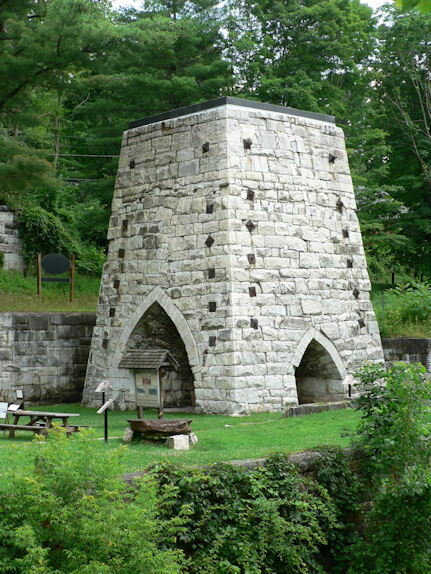 Whether you’re visiting this historic blast furnace (and Connecticut State Park) for educational, for research, or research purposes, or if you are curious about Beckley Furnace and the historic iron industry, or if you’d just like to enjoy our park-like setting, or if you are just plain curious, you are welcome. We hope we can offer you some material that you’ll find interesting. To see our recent posts look at the sidebar to the right. Also make sure to check out the Connections to Learning page if you’re a student or a teacher. 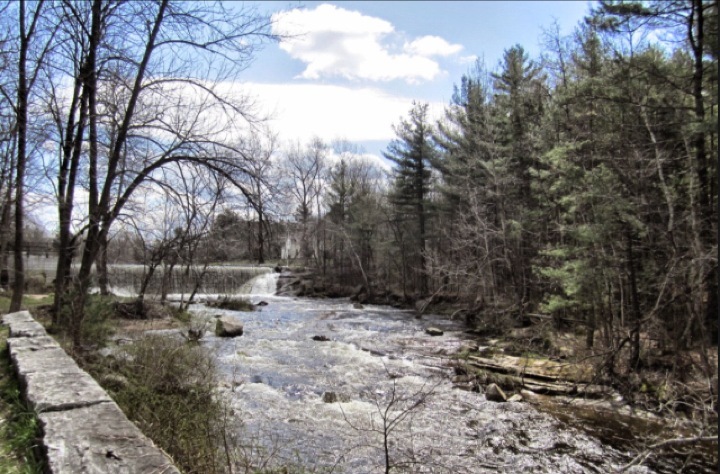 The Learning Resources pages have lots of sources to go to for more information about Beckley Furnace and about the historic iron industry of the Upper Housatonic Valley. Some are educational, and are directed toward using Beckley Furnace to develop thinking and analytical skills that serve in many ways. For the history of Beckley Furnace itself, please check the About page. Want to visit us? In person, we mean!! The grounds are open year round during daylight hours, and we have knowledgeable guides on site Saturdays from 10 AM – 2 PM in the summer months. Be sure to watch our welcome video! It was made for us by two Girl Scouts working on their Silver Award a few years ago. They were also responsible for the basic website design. Thanks, Eleanore and Helen! (Read about how this website came into being on our About page. Welcome to Beckley Furnace on Vimeo. Beckley Furnace, Connecticut’s only designated Industrial Monument, is the centerpiece of the Upper Housatonic Valley’s Iron Heritage Trail.